Cardfight Pro: Opinion: Where is Link Joker Headed? The recently-released poster for VG-BT12: Binding Force of the Black Rings has drawn a lot of attention for an apparent new direction headed by one of the cards showcased for the set. While not immediately apparent to most fighters, the implications of the card's design for not just this coming booster set but also for sets to follow are far-reaching. 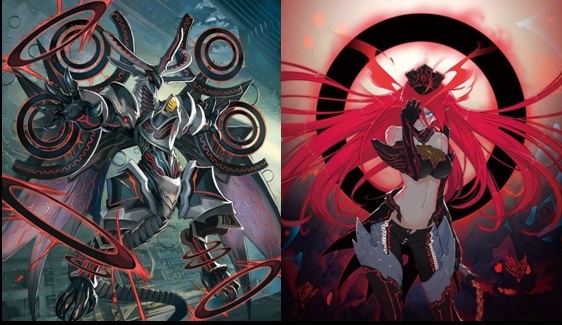 This Luquier at the left, all but confirmed at her original debut alongside the set's cover card to be one of the new Link Joker units introduced by BT12, is at the root of the discussion. While Link Joker so far has exclusively had United Sanctuary as its nation, the color of Joker Luquier's nation in the new poster is purple--Dark Zone, the same as her original incarnation. Several possibilities have arisen from this, not all of them mutually exclusive ideas. 1. Link Joker as a multinational clan. This is not so much a possibility as it is what the new Luquier has concretely established. Link Joker is now a clan that draws from multiple nations. As virtually every Joker unit introduced by TD11 and BT12 has had an existing counterpart, this is only somewhat surprising, but what needs to be understood is that when we talk about Link Joker from the perspective of being a "multinational clan" we're also implying that the other possibilities are not reality. Essentially, if we take perspective 1, none of the below ideas apply. I consider this idea is less likely because there's no real precedent within the game mechanics for multiple nations to have an impact. Currently, no skills rely on nation, so this would be an entirely decorative thing. BT12 is allegedly introducing a system that will "defy common sense," and while many have assumed that the new Lock mechanic will be that same common-sense defying factor, the promotional materials have not explicitly identified Lock as being so. As for what does defy common sense, that brings us to point 2. 2. Link Joker as a double clan deck. The idea of double clan units has held public fascination on and off for several years now, but it hasn't yet been implemented in a major way. BT09 used it to make the Spirit cards more playable and to tie back to the card lore, one of the Etranger promotional cards did it to provide Aqua Force with a Knight Squire Allen clone, and for a long time BT10 was suspected to introduce Gold-Royal double clan units, but this last idea did not turn out. Joker Luquier--possibly, "Star-vader Luquier"--has a little more precedent when we consider that having a unit that is a Pale Moon with "[CONT]: This card is also a «Link Joker»." would be able to simultaneously update two clans at once. By making the card playable between two different clans, it expedites the ease with which Bushiroad can update different clans, and it would also affect sales. Although concrete numbers are not currently available, the general trend agreed upon by retailers is that the set in which Luquier originally debuted, VG- and VGE-BT07: Rampage of the Beast King did not sell as well compared to its contemporaries. Rampage was a set that primarily updated non-core clans, focusing on Dark Irregulars, Pale Moon, Angel Feather and Great Nature. The core clans that it did update were Gold Paladin and Oracle Think Tank; but the GoPala support consisted of Pellinore assist units, and the OraThin support was for the new soulless deck, chiefly in the form a new FVG, when many OraThin cardfighters were already very content with their Tsukuyomi builds. The result was that the majority of Gold Paladin cardfighters went in to get copies of Listener of Truth Dindrane for their Garmore decks, then jumped ship to wait for BT09 while Oracle Think Tank cardfighters either just bought their Little Witch LuLu and Glace rares or didn't buy Rampage at all. With BT08 bringing Aqua Force to the table, it was very easy for the set to be overlooked. Worth considering is that in the 2012 world championships, Gold Paladin always had a presence of at least 18.2% or greater in every tournament, averaging at 26.32% throughout the season while Pale Moon, Dark Irregulars, Great Nature and Angel Feather combined averaged a presence of 10.47%. Excepting the unclear "20% Rest of Clan" results from Indonesia, there were no qualifiers in which Royal Paladin and Kagerou were not played, but there were qualifiers where Pale Moon did not show up at all, despite Pale Moon coming in second for the Great Britain qualifier and third for the European finals overall while Royal Paladin only appeared as second at the Philippines' regional. What is being illustrated here is that the global popularity of these clans impacts the sales of sets that focus on them, and it's actually quite apt that the third season of Cardfight!! Vanguard chose to open with a discussion on globalization and common sense, because in a period where the franchise is undergoing globalization the once-impossible thought of double clan mechanics may be just the common sense-defying idea that can save the more obscure clans. By creating Link Joker as a core clan and packaging their key units with the return of the Shadow Paladins in BT12, Bushiroad may be able to replicate the global success of BT04: Eclipse of Illusionary Shadows, one of the bestselling sets of all time that was in the past practically carried by the Shadow Paladins that it introduced. BT04 is also known for reinforcing many minor clans, giving Megacolony and Dimension Police enough cards to be playable while also refining the concept of ride evolution that would go on to proliferate to every clan in the game in subsequent sets like EB02 and BT06. As with BT04, BT12 can become the launchpad for the mass support of smaller clans, by piggybacking that support onto Joker cards. Link Joker being a double clan deck would allow Bushiroad to give support to clans like Pale Moon and Megacolony while using a consumer base of Link Joker cardfighters to make it economically viable. In the example that we've been discussing, "Star-vader Luquier" is a Pale Moon with "[CONT]: This card is also a «Link Joker»." I don't intend to speculate on what her actual skill will be when printed, but for the purposes of our example let's say that it's a V/R activate skill that requires a Pale Moon vanguard and can call any grade 2 or lower unit from the soul for some amount of counterblast. Pale Moon cardfighters that use Luquier could use her example skill in either the vanguard or the rearguard, but Link Joker cardfighters would be only able to use her if she was in the vanguard circle. In another example, let's say that Star-vader Luquier actually has two skills; one of them lets her call any grade 2 or lesser Pale Moon from the soul, and another can let her call any grade 1 or grade 2 Link Joker from the soul. In this example, you would have two skills but only one would see play depending on whether her cardfighter is using a Pale Moon or Link Joker deck. Assuming that Luquier is the only Link Joker-Pale Moon hybrid, Link Joker cardfighters would only be able to use her second skill because there would be no other Pale Moons in a Link Joker deck normally, while Pale Moon cardfighters would only use her first skill because there would not be any Link Jokers in their decks below grade 3. Keep in mind that these example skills are just thought experiments--I'm only showing how double clan cards could work, I don't think that these are her actual skills. Both economically and mechanically, double clan Link Joker makes sense as an interesting mechanic and new play style that fits the bill for "defying common sense," but the implications of a double clan Joker are far-reaching. The cover card for BT12 is a Joker Spectral Duke Dragon; but SDD is generally agreed upon based out of his lore and holding the Armor of the Black Horse to be a reincarnation of Phantom Blaster Dragon. There have been a lot of questions as to where the Shadow Paladins in BT12 are because of a lack of obvious units out of those revealed--so is this Joker SDD a Shadow Paladin or a Gold Paladin? Ren's return to the anime and his current deck would suggest the former, and in that case, the cover card for BT12 is both a Shadow Paladin and a Link Joker unit at the same time. Considering the anime though, if Luquier is both a Pale Moon and a Link Joker simultaneously, then the release of the new batch of posters is timed perfectly because the upcoming match between Asaka and Kourin is being resolved this week. With Leon having previously pointed out that Fukuhara's Foo Fighters were holding something secret, Luquier may be the trump card that decides the fight. In other words, the first Link Joker unit that we see the actual skills of could appear as early as this coming Saturday. 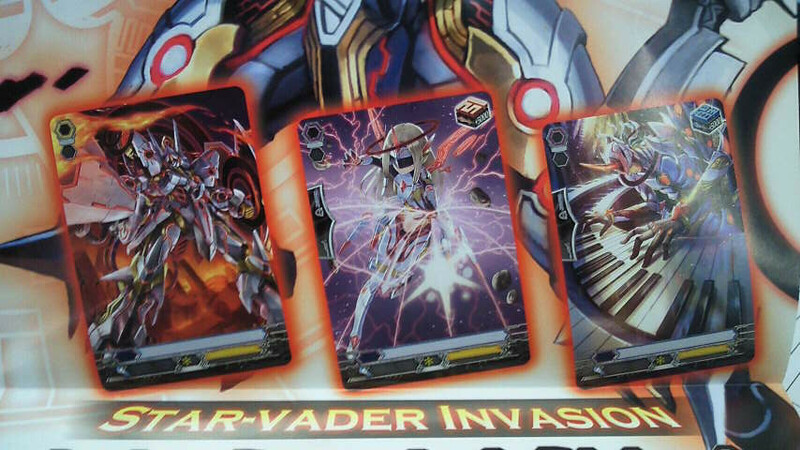 With regards to TD11: Star-vader Invasion, I feel the need to point out that there is no anime character on the cover of the trial deck. This is a first for the franchise. Even when Aqua Force debuted as the new antagonist clan of the Asia Circuit, Leon was still shown as being on the front cover of the deck in promotional materials. We knew of Leon before we even knew his name. The fact that TD11 has no anime characters on its cover suggests to me one of two things. Either this is being done because the character to use Link Joker this season is someone from the existing cast and it would be a spoiler at this point to know who, or it's because Link Joker is going to be used by multiple characters. If it is a double clan deck, then there's a lot of existing correlations drawn by fans that can point to which characters and clans are seeing representation within Link Joker. The timing of some other parts of the franchise should also be considered. Starter Set 0 included a manga containing the prologue chapter "#0 The Beginning of Everything," authored by franchise creator Itou Akira, which focused on Kai's time as a Royal Paladin cardfighter, his connection to Blaster Blade and Blaster Blade Burst, and on Kai's childhood friend Ibuki Kouji. I should point out that, although such sources are not always reliable, Japanese twitter reports from the "Get! 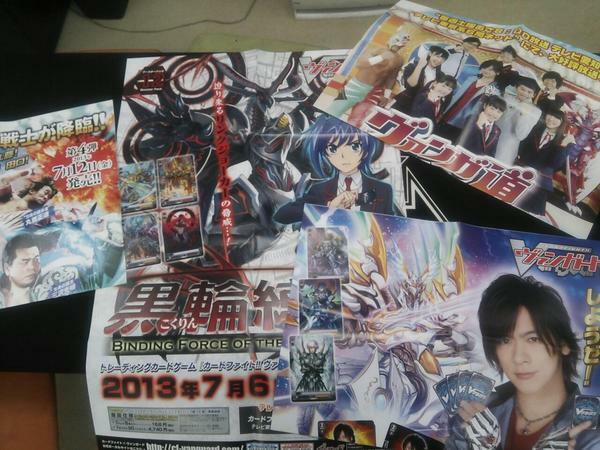 Deck Holder Caravan 2013" Bushiroad event mentioned that CEO Takaaki Kidani said in a Q&A panel that most of the ideas for the third season came from Itou, and that there is a planned "mood shift" in the anime related to the term Link Joker (this was prior to the announcement that LJ would be a clan.) As one of the cover cards for TD11 appears to be a corrupted Blaster Blade, and that between Kai, Ren, Aichi and Ibuki there are four characters with some kind of connection to the card in the franchise, the probability of an existing character using Link Joker is sky high. 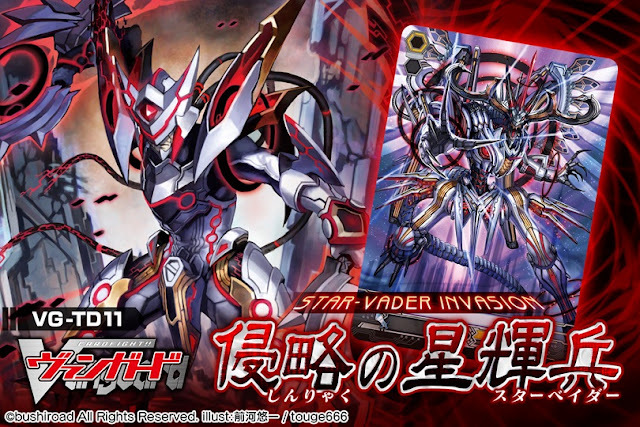 Given that Link Joker has an extraterrestrial theme and is described in the lore as a group of invaders, it seems as though these units are being abducted and corrupted by BT12's titular "Black Rings," allowing Link Joker to gradually invade each of the clans in turn and take over Cray from the inside. The idea has already been put forth that Link Joker represents Void's clan within the anime, and if so then this also explains why Ren's former persona has resurfaced. If the Link Joker print of Duke Dragon is a double clan with Shadow Paladin, then Void may already have begun corrupting him from the inside. 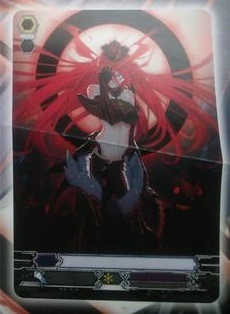 Although the Shadow Paladins themselves were once portrayed within the series as a semi-mystical, inherently corrupting force and the possibility remains that their deck still has these properties in the anime, this possibility seems relatively slim in face of the more concretely realized idea that Link Joker is "infecting" the decks of the cast. 3. Link Joker as a mixed clan deck. This possibility is what I consider the least likely but still within the realm of plausibility. In this scenario, the above Luquier is not a Link Joker at all, but only a Pale Moon. Link Joker would then only have pure Link Joker units within its clan, but would encourage the use of other clans in the deck, possibly to activate the Lock skill. Without guessing what Lock actually entails, let's assume that it needs units of another clan as part of its cost. The Joker Luquier would then be a supporting, rearguard grade 3, not intended to be in the vanguard circle but instead used for skills that work independent of clan and help support Lock. The reason that I consider this unlikely is because of how cumbersome it would be to potentially ride those non-Link Joker units and be unable to use your Jokers' skills at all. Riding Blaster Dark in a Majesty Lord Blaster deck is already hard, more so if you don't have any Royal Paladins in hand to call, because once Wingal Brave is off the field your triggers no longer activate and you already can't use the skills of units like Pongal or Iseult; how problematic would it be to have more than four cards in the deck that could trap you out of your perfect defense, skills and triggers? That said, it may be intended as a more tech heavy build that has more options for specific searching. Only a couple clans handle direct searching at the moment, but if Link Joker has skills that are limited to searching for units from other clans, then it could be balanced out. For example, you could have a skill that in some way has you lose two Link Joker units as a cost, then add two units of different clans to your hand; requiring the search targets to be of different clans from one another as well would restrict you from double dipping on skills that specify a particular type of rearguard. 4. Luquier is not a Link Joker. This is probably the most likely possibility next to point 2. As interesting a mechanic as a double clan unit could be, the Dark Zone nation box all but confirms her as a Pale Moon unit and only the illustration suggests that double clan could be a reality. And while there isn't enough information for any further speculation on what Lock entails, it's much simpler for the one announced but unrevealed mechanic to be the mechanic that the promotional materials are talking about than it is for an unannounced idea with little precedence to be so. Lore-wise, the new Luquier could be empowered by Link Joker without actually being a part of it, and so far all previous predictions of double clan mechanics have been overturned. Considering that the card illustration being irrelevant to the game mechanics is in page 3 of the rulebook, this could be the promotional materials taking us for a spin. The wrench in this point is that one of the first promo images put out for the set shows the new Luquier's illustration side by side with the new SDD's, and it would be strange for a connection to be implied by the company and then immediately cast away. If it seems that the editor is biased toward point 2, he is; there's less to write about the others.